When I was 3, my ahgong (grandpa) brought me to Taiwan from California to visit our old family home in the historic town of Lukang (鹿港). The home was and still is a narrow, two story, brick and wood building off the main road. There, my great aunt, whom I affectionately called “yaba,” lived with my ahma (grandma). At that age, I didn’t know calling her just yaba (啞吧), which means “deaf mute”, was rude (it is). I thought it was her name. Those early memories are a fuzzy mixture of feelings, textures, and images: the humid heat, a huge cockroach on the wall, the rough surface of aged wood on my fingers, and of course yaba great aunt. She was a bustling woman with a kind, round expressive face and close-cropped, frizzy black hair. She moved with such power and intention, cooking and cleaning around the house. To me she was a force, a wind that flowed through that space as if she always lived there. But that was not always the case. Like the wind, her origin to me was a mystery. Through bits of conversation with my father and my aunts, I began to piece together her past. Great aunt was born in 1935 into an impoverished family. She was given up for adoption and went from one family to another. At age 7, she contracted a serious fever. This was during the second world war and there was not enough medicine to go around in Taiwan. The fever spread to her throat and ears, nearly killing her. She survived, but the disease had rendered her deaf and mute. Not wanting the extra responsibility, the adopted family gave her back to her grandmother. The old grandmother and the 7 year old girl survived day by day going to the town market to pick up discarded lettuce, leftover pork feet, and other unwanted produce. When great aunt was 12, my ahma was in her late 20s and had just had her third child. Between caring for her own children and working full time as a teacher, she was exhausted. 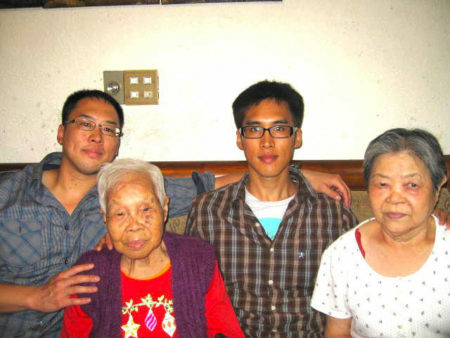 My ahzhou (great grandma) asked around Lukang for help with chores. Yaba great aunt’s grandmother heard about this and pleaded with ahma to take in the 12 year old girl. Ahma was willing, but ahgong refused. With their meager income and the small household filled with family members and children, how could they take on the burden of caring for a deaf mute child? Yaba great aunt’s grandmother got on her knees and begged my ahgong to take the 12 year old girl in. The grandmother was getting older and couldn’t watch the girl much longer. She knew that her granddaughter’s life with them would be much better. She gripped my ahgong’s hand with tears in her eyes and told him that despite being a yaba, her granddaughter was an incredibly capable girl. 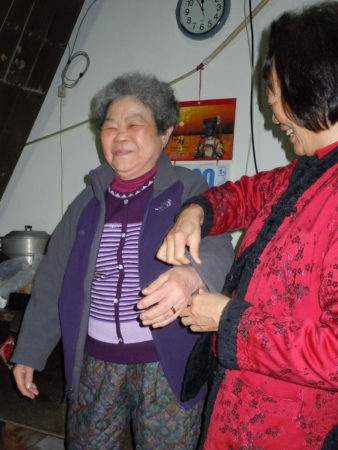 Ahgong watched the deaf mute girl standing beside her kneeling grandmother, quiet, helpless. He saw how turning away this child meant a life of hardship, maybe even a death sentence. Ahgong relented and our family took her in. For the next 67 years until her death, yaba great aunt would be with our family. Even though a child herself at the time, she worked day and night cooking, cleaning and watching the kids. To communicate, she improvised her own pidgin sign language that the kids learned. Because my grandparents were busy with work, yaba great aunt spent the most time with the kids and for some, this pidgin sign language was their first language. Ahma would go on to have six other children. Great aunt had an incredible talent with the kids: every night she would marshal all them together like an army unit and have them line up in the narrow hall to take turns to go into the closet size bathroom. She made sure they all showered, brushed their teeth, and went to bed on time and in the morning, she would wake up before everyone to cook breakfast. She devoted her life to taking care of these children, one of them being my father, until they all grew up and left the house. She did this all without pay. Some aspects of her story called to mind Alex Tizon’s essay “My Family’s Slave” and I questioned my father and my 2nd aunt about this. They reminded me of what I had seen, that unlike the mother in Tizon’s essay, ahma never looked down on yaba great aunt and always treated her with love and respect. Also, yaba great aunt in her later years had her own autonomy. When my grandparents moved to California to take care of newborn me, great aunt was left alone in charge of the old family home and worked to support herself. Yaba great aunt cooked and cleaned for local restaurants, as well as babysat for a family across the street. The family’s kids loved her: the 4-5 year old children would often brave the wide street to our home and yell “Yaba, yaba!” so she would play with them. 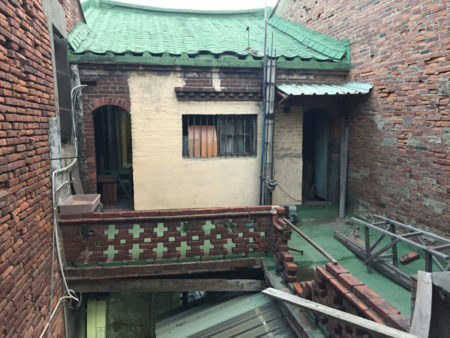 Yaba great aunt would then pat my arm and I would feel a profound sense of connection to her and my ahgong along with this old brick, two story house, with its smell of incense and stories of the past. My ahma would watch with kind, sad eyes. Ahma felt such love and appreciation for yaba great aunt. She would always say, “heaven has been so kind to have given such a person to me.” But she also carried this deep sense of guilt and debt towards yaba great aunt. The two old women held each others hands and cried. Special thanks to Lin-Show Shih for sharing much of the content for this essay, Cin-Yee Shih for her editorial insight, and my father for his stories and guidance. Special thanks to HoChie Tsai and TaiwaneseAmerican.org for giving me a platform to share this story, as well as editors Andrea Chu and Leona Chen for helping me shape the essay into the form that you just read. James Y. Shih is a Taiwanese American filmmaker from Milpitas, CA who currently resides in the Los Angeles area. James has worked as a producer for “Fight Life” (2014), a feature length documentary about mixed martial arts, as well as on “Advantageous”, a sci-fi feature with Asian American female leads (premiered Sundance 2015). James has since shifted his focus to writing and directing, recently graduating with an MFA in Screenwriting at Cal State Northridge and is currently working on film projects in Los Angeles and Taiwan with a focus on promoting diverse voices and exploring the Taiwanese diaspora. James has kindly recorded his own reading of this article. Link below. 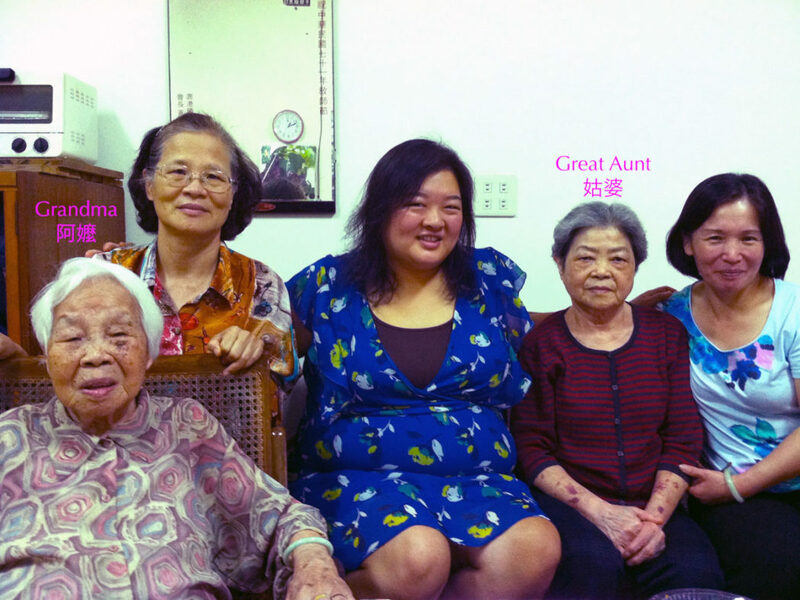 Grateful for Family & Friends #TaiwaneseThanksgiving Finding Meaning in Taiwanese America: An Open Letter Meet Terry Chen, a Taiwanese American Martha Stewart The Top 10 TaiwaneseAmerican.org Facebook Posts of 2015!